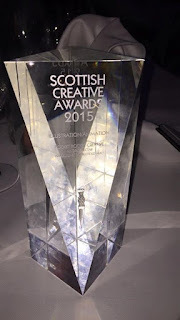 We are pleased to report some fantastic news from last night’s Scottish Creative Awards. 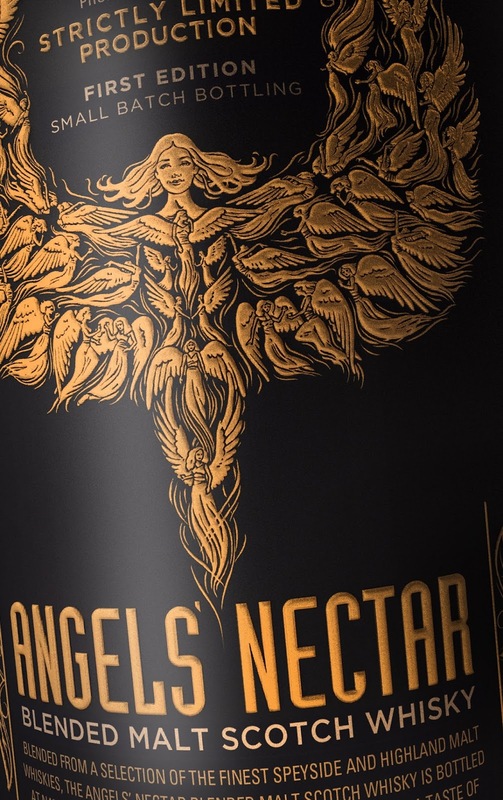 Our designers, Pocket Rocket Creative, won the Illustration Award for their wonderful work on our label for Angels' Nectar. 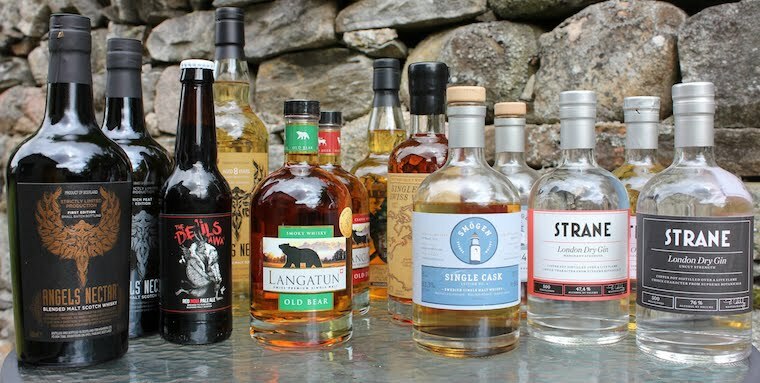 Our brand takes the much loved story of the Angels’ Share from whisky folklore and presents it in a contemporary fashion. 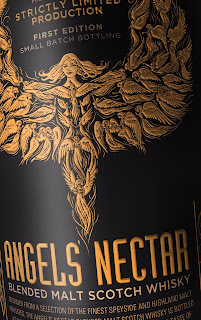 At the core of our label for Angels’ Nectar sits an Angel shaped ethereal mist within which a series of smaller Angels can be seen enjoying their share. Getting the tone and feel of the illustration and label right was essential, and we are delighted with the result. It is fantastic that illustrator Brett Breckon and the team at Pocket Rocket Creative have been recognized publically for their efforts. The winning design, and the prize!